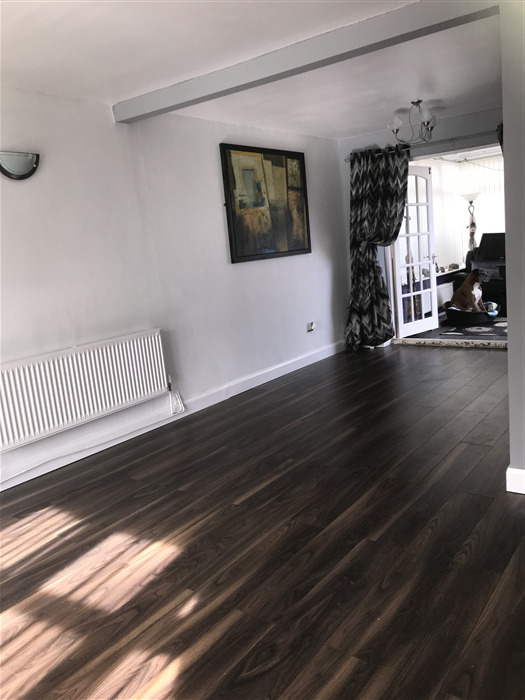 The beautiful walnut effect flooring is made up of extra wide planks that are detailed with a wood grain design for an authentic look. 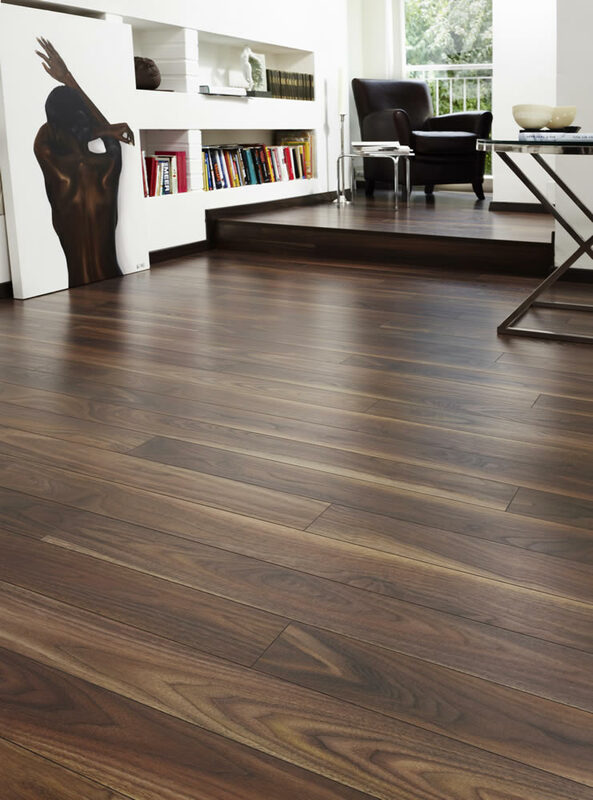 Get 20 years domestic warranty when you order the Kronospan Vario Plus rich walnut laminate flooring with flooringsupplies.co.uk. Excellent product. Colour just right. Good hard wearing flooring. A totally professional company with an impressive warehouse (Edmonton North London). The sales person (Idel) who served us was friendly and gave us good sound advice. The delivery was on time. Would recommend and have done so already, without any hesitations. Good and reliable service, good quality of products, great customer support. Hi, please advise if this flooring is suitable for a commercial retail environment. Many thanks. Hi Jackie, This product doesn't have a dedicated commercial warranty, but it's rated AC4 out of durability, on a scale which goes from 1-5, which makes it suitable for commercial use. 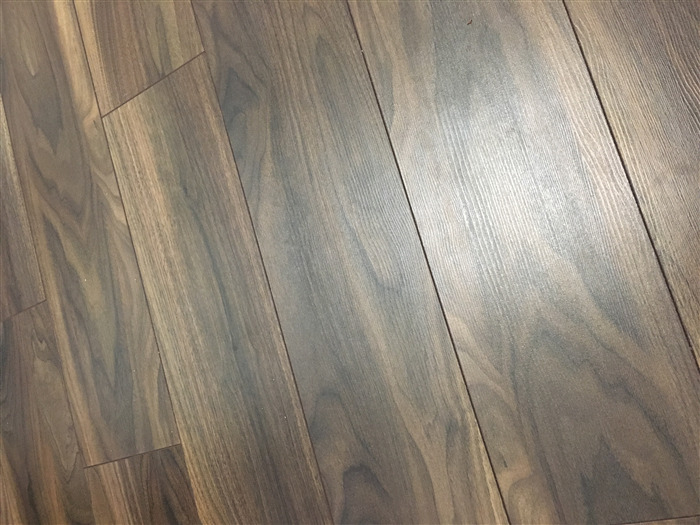 hi i have recently asked for a sample of the laminate and not received yet and was wondering how long it takes to be delivered as i am eager to see wot it looks like so i can make a purchase ASAP! Good Afternoon Samples take approx. 2 to 3 days. So if you haven't received them by now call in and we can resend them for you FOC. 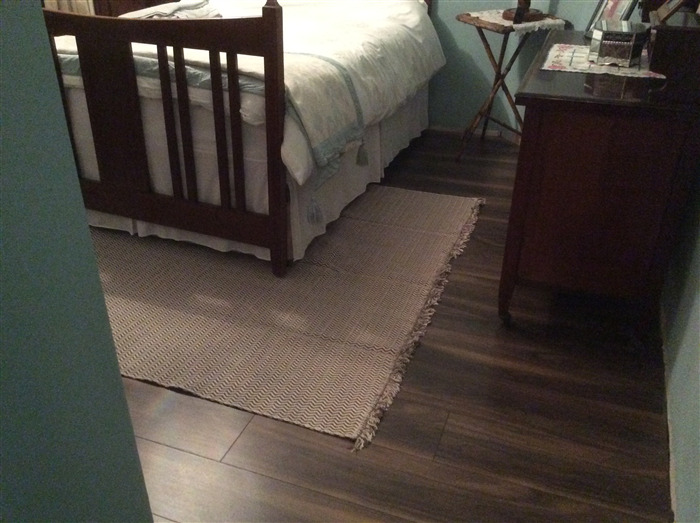 Are there any accessories that match this flooring? I recently purchased this flooring and there's going to be a height difference where it meets the vinyl flooring in my kitchen, so I was hoping there would be some kind of matching ramp bar or door bar.